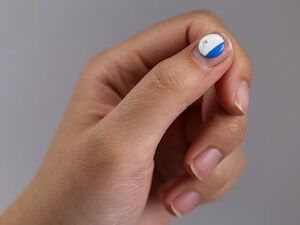 The cosmetics company L’Oreal contributed research funding (along with the U.S. National Cancer Institute and the U.S. National Institutes of Health), and has recently launched a UVA-monitoring version of the patch for consumers. On the downside, the trials highlighted a “fundamental limitation” of the patch: Given that not all parts of the body get the same degree of sun exposure, the small detection area of the patch means that readings may not truly represent sun exposure across the full surface of the body. But the results indicated that the patch was easily wearable on those parts of the body that might be of “critical” sun exposure interest, including the shoulders and ears. It could even be placed on a pair of sunglasses, the researchers noted. Arielle Grabel, public relations manager for the Skin Cancer Foundation in New York City, pointed to the foundation’s cautionary position statement on the device. The foundation “can’t speak to the technology and reliability of these [wearable] devices,” the statement read. The group also warned “against relying on these devices to determine when to take sun protection measures. Rather, the Skin Cancer Foundation counsels the public to consider sun protection a healthy habit to be practiced daily. This includes seeking shade during peak sun hours, covering up with clothing, hats and sunglasses, and applying sunscreen daily. When spending time outdoors, sunscreen should be reapplied every two hours or immediately after swimming or sweating,” the statement concluded. There’s more about sun protection at the Skin Cancer Foundation.